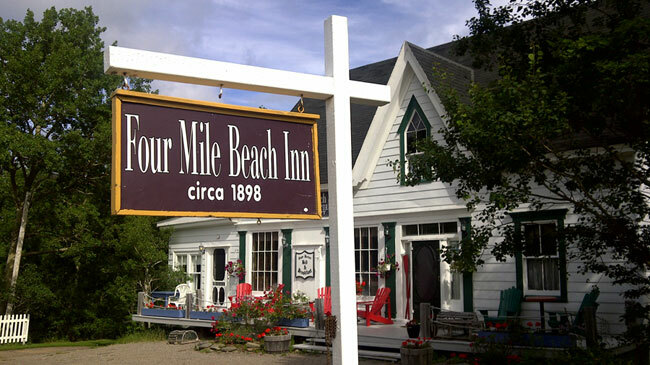 Settled at the base of the Aspy Mountain Ridge, minutes from the world famous Cabot Trail on the northern tip of Cape Breton Island, the Four Mile Beach Inn is an historic stopover for those with an adventurous spirit. The inn, dating back to the 1880s, is adjacent to the sheltered North Harbour and Aspy Bay where John Cabot’s ship "The Matthew" landed in 1497. From the inn visitors have a spectacular view of the Aspy Ridge and Aspy Bay. The inn offers visitors five well-appointed suites and three apartment units. Mornings at the Four Mile Beach Inn begin with a complementary homemade, all-you-can-eat breakfast either inside or out on the covered porch overlooking Aspy Bay and morning sun. Following breakfast, visitors can explore our beautiful region by land or by sea. A short walk away through the orchard you will find our private beach area with kayaks. After a day of activity, relax in the parlours or the Old General Store to enjoy games, reading or live piano music. "This rambling, interesting inn, which opened in the late 1990s, is one of the most interesting hotels on Cape Breton. Located in an old inn and former general store dating from 1898, it's run by innkeepers doing a superb job keeping pace with the ravages of time and weather, making it feel as comfortable as possible." "The view of the Aspy Bay and the ridge of the highland mountains is fantastic from this large white 19th century house near Cabot's Landing. 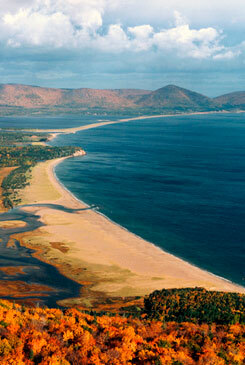 The hosts know the Cabot Trail and can provide personalized day planning." © 2019 Four Mile Beach Inn, Cape Breton Island Accommodations ~ some photos courtesy of Nova Scotia Tourism.